One of the busier urban hikes in the Inland Northwest will become accessible to wheelchair users next year. 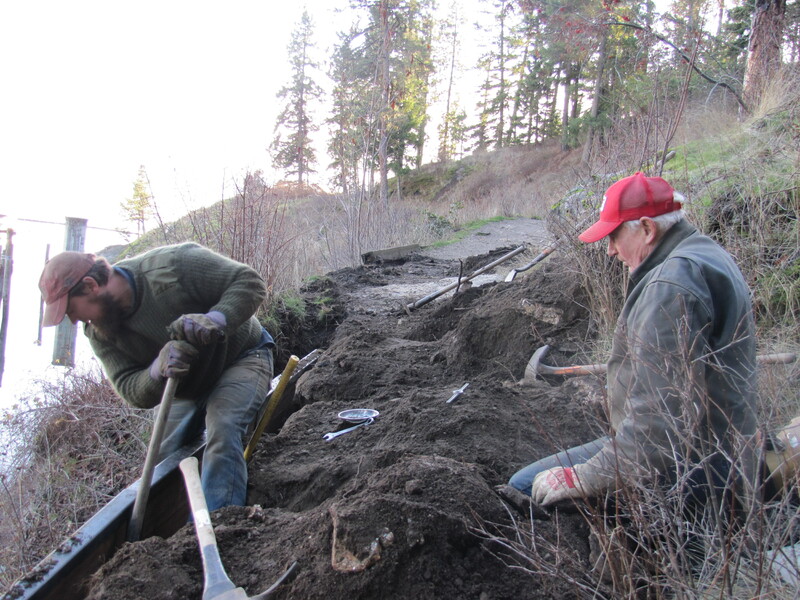 The city of Coeur d’Alene will smooth out a portion of the trail on the east side of Tubbs Hill on the lakefront. The work has started and should take 6+ weeks if there is no snow and the ground doesn’t freeze. The city’s parks department began exploring the idea more than three years ago after people with disabilities, including veterans, asked about access to the rocky path, which gets an estimated 1 million visits a year. “I think it’s a huge step for our disability community to be able to have access to the things that we take for granted,” said Doug Eastwood, who retired last year as the city parks director. He recalled the day a member of the city’s Pedestrian and Bicycle Advisory Committee – a man who is paraplegic – came into his office and asked what it would take to give people in wheelchairs better access to the Lake Coeur d’Alene vistas. “And I thought about that for a second and thought we should be doing everything we can to get them access,” Eastwood said. A working group began discussing a pilot project for more than 1,000 feet on Tubbs Hill from the South 10th Street trailhead. At first it was a challenge to convince all interested parties that the revamped trail still would blend in well with the natural environment and not be overdeveloped, said Virgil Edwards, an independent-living specialist with the Disability Action Center in Coeur d’Alene. Proponents pointed to similar accessible trails built by the U.S. Forest Service and the National Park Service, Eastwood said. “They do that without scarring the land, and I think that was some of the concern,” he said. The Friends of Tubbs Hill and Kootenai Environmental Alliance are among those that support the project. “People really did understand we weren’t there to try to ruin their hill,” Edwards said. The $50,000 project is funded with a $29,000 grant from the Idaho Department of Parks and Recreation and a $21,000 grant from Avista Corp. Trio Construction Inc. of Priest River was awarded the contract to do the work. Workers will smooth out some of the ups and downs of the trail, remove small outcroppings of rocks and tree roots, and reuse rock and soil in spots, said Monte McCully, the city’s trails coordinator. “We’ll take out all the steep spots and bumpy, rocky stuff,” he said. The grade will be 5 percent or less most of the way, with a few spots up to 8 percent, he said. The incline from side to side also will be leveled out. The new trail surface will be similar to what it is now and will be 36 to 42 inches wide. New retaining walls will be anchored into the rock in a few spots where old walls are starting to fail, McCully said. The accessible portion of the trail will end at a point where a large grandstand, built 100 years ago, once gave residents a place to watch Independence Day celebrations on the water, including fireworks and the spectacular torching of scrapped steamboats. That structure is long gone, but the area remains a nice place to pause and soak up lake views before turning back. And that’s where a local Eagle Scout, Nathan Lambert, plans to build a wooden retaining wall with backfill to give trail users a spot to enjoy the scenery. “It’s a beautiful view right there, one of the prettiest views on Lake Coeur d’Alene,” McCully said.